Take a closer look at Corona Centennial senior QB Anthony Catalano and you’ll see a player very much evolving under coach Matt Logan. Catalano shared QB duties with since-graduated Nate Ketteringham last year, and was the better of the two, statistically. 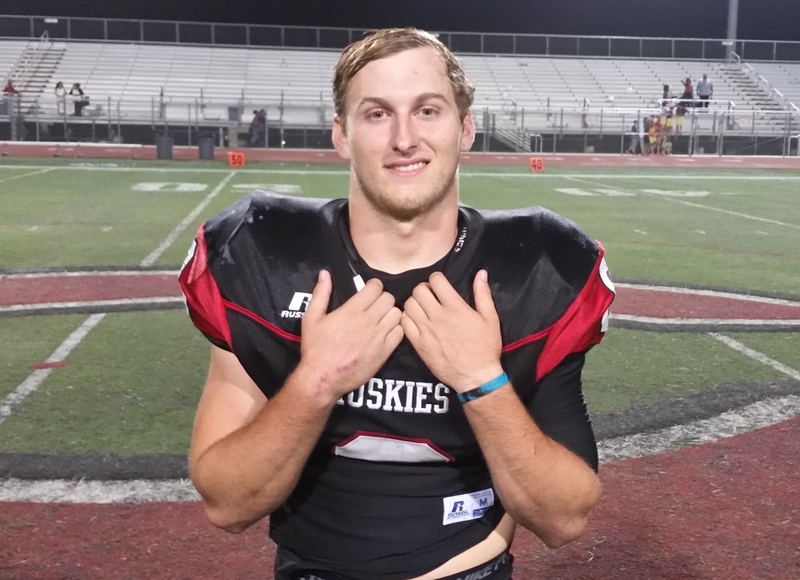 Now the starter, Catalano has taken the reigns of the Huskies offense as they attempt to defend their CIF-Southern Section Pac-5 Division title. I caught up with Catalano after he tossed two TDs in a 49-13 rout of Salt Lake City (Utah) East High in a Week 0 game on Friday, Aug. 28, 2015. FOMB: How’s it feel to get back on the field? Catalano: Always good. It’s been a long time coming, a long summer. Getting better, and we came out and played fairly well. I could’ve played better. I think I could’ve done some more things but overall I think we played well on offense. FOMB: What’s the biggest challenge to this team achieving its goals? AC: I think not thinking that it’s going to come as easy as it did last year. It’s not just going to happen. You have to put in the same work we did last year, offensively and defensively. FOMB: How is all the national attention affecting this team? AC: I hope it doesn’t go to our head. I hope it doesn’t, but it’s nice to see people recognizing how good of a program we’ve built here. We just want to keep the legacy going. Now there’s just nine regular season games remaining. Then, one would think, a long playoff run. It’s an evolution long yet finite.